High quality details, well finished and a fantastic design, the Bullitt is a top-notch lid that will complement your custom bike brilliantly. Okay it may be eye-wateringly expensive but this is the lid that the Doctor wears when he’s dicing it with that pesky Marquez fella, so you can expect it to perform in every area. It comes with all the bells and whistles and even features a hydration system. When nothing but the best will do then this must be on your list. At the other end of the affordability spectrum is the Shark Spartan, which is a versatile offering that makes sense every day. It has an internal visor, vents and air extractors which improve the aerodynamic profile and it'll take a Bluetooth system. Just like the Bullitt, the 500 Carbon offers something for those who ride custom or retro bikes. 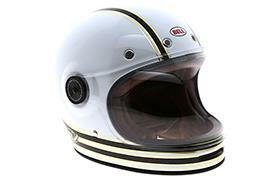 The 500 has its roots in the design of the very first helmet that Bell founder Roy Richter made back in 1954. 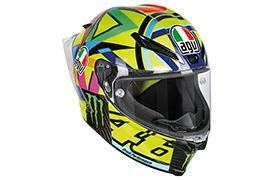 The AGV is an option for those who want something to suit their adventure aspirations. It’s a versatile lid that can be used both on and off-road. The interior can also be also be fully removed, so you can give it a good clean and get it smelling decent after a day of hauling your bike about all day long. 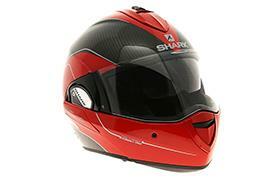 Sharks Evoline lid offers more than your standard flip-front lid, with a separate chin bar and visor mechanism meaning that you can ride with the chin bar out of the way but still shield your eyes from the wind. It also comes with a sun visor for those sunny days and ready for a Bluetooth system too. 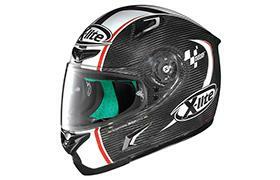 The X-Lite X-802RR is a helmet that has been developed at the top level of the MotoGP and World Superbike championships. 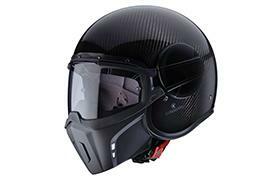 It comes with a carbon fabric interior that helps to wick away sweat and prevent the helmet from smelling too much too. 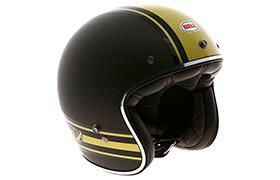 Like the AGV Pista GP-R, the Pro Star from Bell is a top offering. 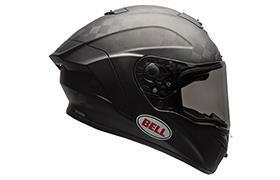 Bell even claim it to be the lightest full-face helmet on the market and it also features a flex impact liner that helps protect the helmet in the event of a crash. The Ghost features a distinctive design with its detachable nose shield and goggles meaning it can be worn as an open-face lid if required and comes with a Pinlock ready visor. 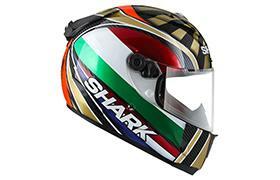 The Race R Pro Carbon has come from the top-level of motorsport and is Sharks flagship helmet. 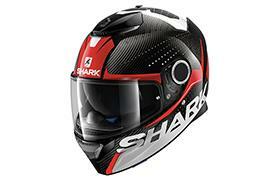 It’s a multi-composite lid that also has the benefit of advanced aerodynamics that make the helmet very stable at speed. 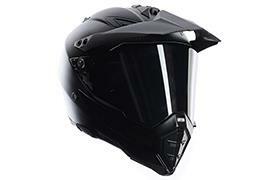 It also comes with a neck pad that reduces noise in the helmet and comes ready for a Bluetooth unit to be installed.